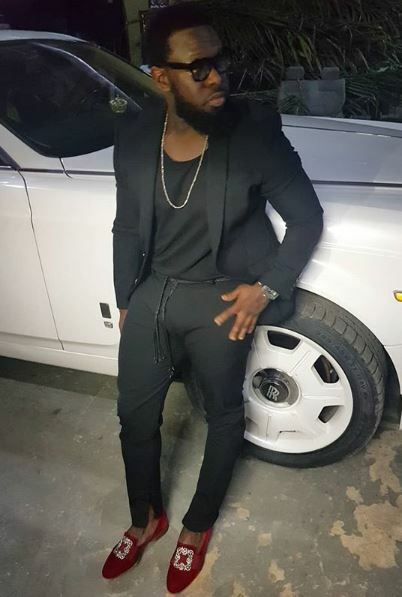 Popular music act, Timaya has shared photos of his new bae and his fans are absolutely loving this. 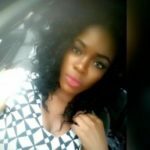 One of his fans who was shocked at the change in body shape asked the singer if that is his ex girlfriend, Nollywood actress, Empress Njanah. 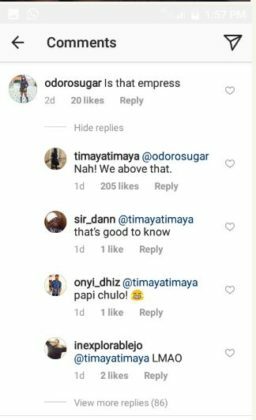 The singer proudly responded to the question stating that he is currently above Empress. Though Timaya and Empress have a daughter together and remain friends, fans cannot forget the series of scandals which surrounded their relationship and split in their once beautiful romance especially at the time when they were both kick starting their careers. 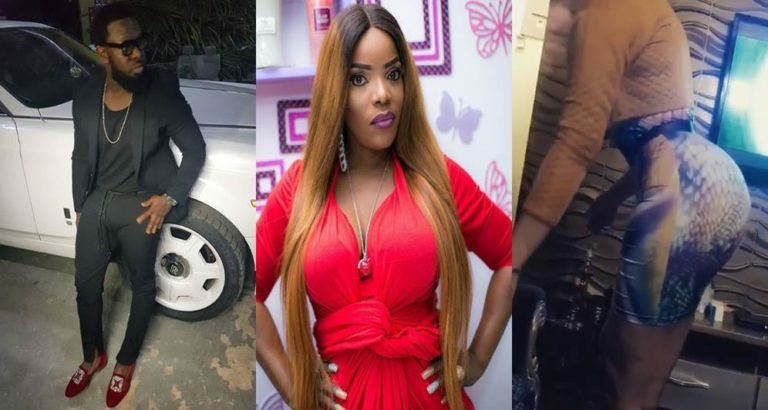 While Empress Njamah’s name is synonymous to controversies, Timaya made her look even more ugly in public eye as he never stopped dragging her and calling her names on the media & interviews. Apparently, almost ten years after, Timaya has made a name for himself and acquired assets/properties and ofcourse, a new bae!